Many Apple retail locations in the U.S. started the $29 battery replacement for the iPhone 6 or newer, well in advance of a previously announced January timeframe —but appointments are filling up, and turnaround times are growing. The battery program was originally said to start in the end of January. However, first reported by TechCrunch and confirmed by AppleInsider, most Apple stores are doing the battery swaps for the lower price now. "We expected to need more time to be ready, but we are happy to offer our customers the lower pricing right away," Apple said in a statement to TechCrunch. "Initial supplies of some replacement batteries may be limited." 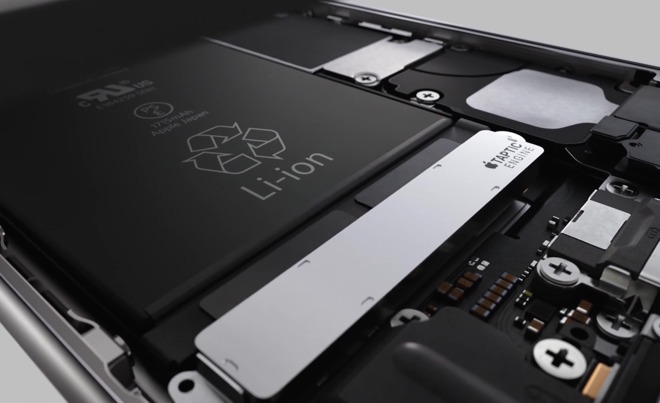 The new $29 iPhone battery replacement is a dramatic reduction from the previous cost of $79. It will be available for anyone with an iPhone 6 or later whose battery needs to be replaced through Dec. 2018. AppleInsider was told that appointments for the service are required, and depending on workload, customers should not expect to get the devices back while they wait —or even same day in some cases. Spot checks of several Apple stores showed same-day service in two of 12 stores, next-day service in two locations, next-day in five, and no estimate beyond "not today" in two others. One store still had pricing at $79 for the service. Apple's new battery replacement program was announced on Thursday. In early 2018, the company will also issue an iOS software update with "new features," to let users see if the condition of their phone's battery is affecting performance. Aging batteries have reduced capacities not just in longevity, but in sustained power output maximums, with from low voltage as a result of chemical depletion forcing random shutdowns of devices when they are subjected to spikes in power usage. Apple has addressed this by reducing peak performance of processors in older phones, which can make them run slower, but also keeps them operational for a longer period of time. Despite the fact that throttling keeps devices operational for longer, Apple's own admission has helped fueled a popular conspiracy theory that the company intentionally slows down older iPhones to encourage customers to buy a new device. The same tests not only showed that iPhones with properly functioning batteries are just as fast as they day they were unboxed, but also that older devices outfitted with a new battery will see their performance return to normal levels.